Latest RBI Recruitment Notification 2019 – Reserve Bank of India (RBI) invite applications for the position of Bank’s Medical Consultant (BMC) on contract basis. 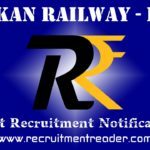 RBI announced 01 vacancy at RBI Kanpur. Candidates who have eligibility as per RBI Notification may forward their applications through proper channel in prescribed format. The Application format can be downloaded from the Reserve Bank of India website. The Last date to submit the application form is 18.02.2019. Selected candidates may have contract period for 03 years. Before apply for the current job vacancy, candidates should ensure that they fulfil the eligibility criteria given in the RBI advertisement. Also be aware of job profile, job requirement, job location, compensation, selection process and application process (Postal Address) from the advertisement. Applications received after the last date will not be accepted. So, submit the application so as to reach the RBI Kanpur on or before the last date. MBBS/ Post Graduate in general medicine. Look into RBI Vacancy Notification for more details of qualification. Download application form from the RBI website. Send the completely filled application with required documents to the postal address, The Regional Director, Reserve Bank of India, Human Resource Management Department, (Recruitment Section), Mahatma Gandhi Marg, Kanpur – 208001. Logon to RBI website and then locate Current Vacancies>> Vacancies. In Vacancies, find notification for Bank’s Medical Consultant (BMC) dated on Feb 04. 2019. The Application Form is available in Annex III of the RBI advertisement. Fill up the application form and attach required documents. Find upcoming RBI recruitment notifications @ Recruitment Reader. For more details regarding RBI Recruitment Notification 2019 logon to www.rbi.org.in. The information given above is based on the Reserve Bank official advertisement. Reserve Bank of India (RBI) invites applications for the positions of Junior Engineer (Civil) and Junior Engineer (Electrical). 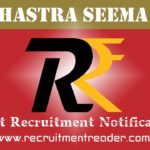 RBI announced 24 vacancies in various regional offices across India. Candidates who have eligibility as per RBI Notification may apply online at RBI Careers (Website). The Last date to submit the online application is 27.01.2019. Candidates can submit the online application from January 07, 2019. Lower age limit is 20 years. Upper age limit is 30 years. Date for age consideration is 01.01.2019. Age relaxation is applicable for lower age limit. Diploma/ Degree in Civil/ Electrical/ Electrical & Electronic Engineering. Look into RBI advertisement for more details of qualification. For General/ OBC candidates, ₹450/- (Examination fee + Intimation Charges). For SC/ ST/ PWD/ EXS candidates, ₹50/- (Intimation Charges only). First, candidates should go through the online application procedure given in the advertisement. Also be aware of documents to be uploaded online from the advertisement. For communication purpose, candidates should have valid Email Address and Mobile Number. If Photograph, Signature and certificates of candidates are required for online registration then scan those documents in prescribed format (Prescribed sizes and memory). Go to RBI website and then locate opportunities @ RBI>> Current Vacancies>> Vacancies. 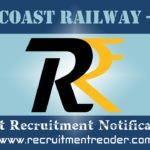 Find notification for the post of Junior Engineer (Civil/ Electrical) dated on Jan 07, 2019. Read the advertisement completely and then apply online for the recruitment. Complete the online application process and make payment successfully. Finally take a printout of online application form for your reference. 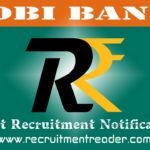 For more details regarding RBI Recruitment Notification 2019 logon to www.rbi.org.in. The information given above is based on the RBI official advertisement. Reserve Bank of India (RBI) invites applications from eligible ex-servicemen candidates for the position of Security Guards. RBI announced 270 vacancies in various regional offices across India. Candidates who have eligibility as per RBI Notification may apply online at RBI Careers (Website). The Last date to submit the online application is 30.11.2018. Candidates can submit the online application from November 09, 2018. Lower age limit is 25 years. Upper age limit is 45 years. Date for age consideration is 01.11.2018. 10th standard (S.S.C/ Matriculation) from a recognized board. Candidates should remit an amount of ₹50/- (Intimation Charges only). No fee for RBI staff. 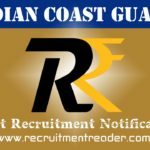 Find notification for the post of Security Guards dated on Nov 09, 2018. For more details regarding RBI Recruitment Notification 2018 logon to www.rbi.org.in. The information given above is based on the RBI official advertisement. Reserve Bank of India (RBI) published notification for the direct recruitment of PhDs in Grade ‘B’ for Research Positions. RBI announced 14 vacancies for the Research Positions. Candidates who have eligibility as per RBI Notification may apply online for Grade ‘B’ Research Positions at RBI Careers. The Last date to submit the online application is 30.11.2018. Candidates can submit the online application from October 30, 2018. Upper age limit is 34 years. Ph.D. in areas of Economics or Finance. For General/OBC candidates, ₹600/- (Application fee + Intimation Charges). For SC/ST/PwBD candidates, ₹100/- (Intimation Charges only). Find notification for PhDs in Grade ‘B’ for Research Positions in RBI dated on Oct 30, 2018.